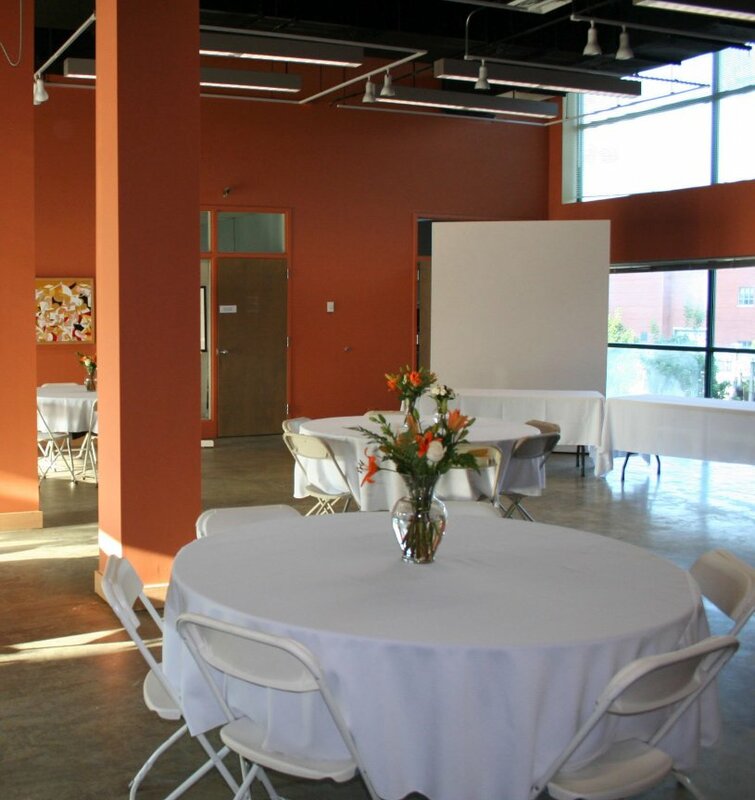 This unique and creative setting, enhanced by CVA's art exhibitions, is an ideal event venue for breakfast meetings, luncheons and cocktail receptions. The 3,000 sq. 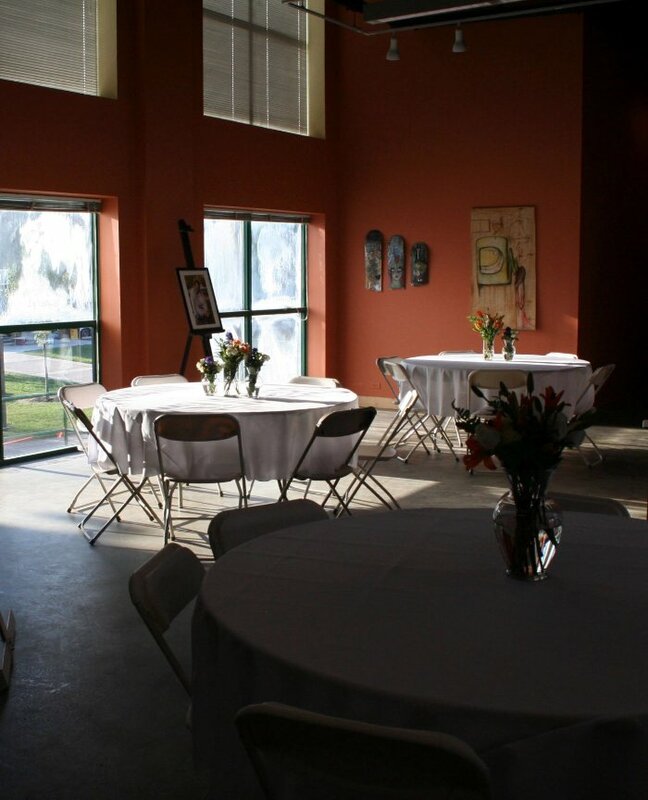 foot gallery accommodates gatherings for up to 125 people. gallery availability subject to exhibition schedule. 2. Space: Our 3,000 sq. ft. space is first and foremost an art gallery. A CVA staff member will be on-site for the event to ensure all guests follow our guidelines. 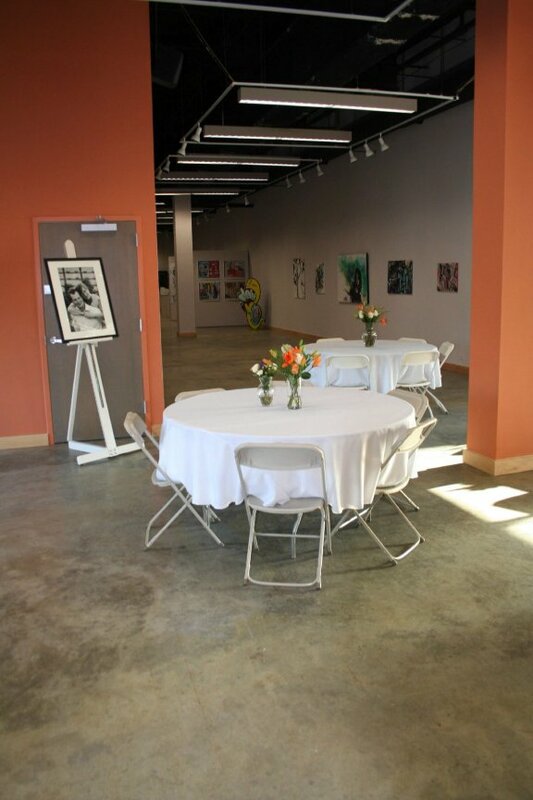 CVA cannot guarantee a specific artist or exhibition will be on display during any given event. Exhibition schedules are found on our website. 3. Catering: The CVA can provide a breakfast tray or boxed lunch for your meeting. Additional costs will apply. All other catering must be arranged through an outside caterer. There is a kitchen with a sink, refrigerator and microwave. 4. Alcohol: Beer and wine is permitted; however, any and all liabilities arising from consumption on the premises are the responsibility of the Lessee. If alcohol is served an additional security guard must be hired at the rate of $24.00 per hour with a 2 hour minimum. This is a Cultural Center policy and they are responsible for hiring the additional guard. 5. Equipment & Supplies: Each group must be responsible for set up, decorating and clean up. Storage before the event must be arranged in advance with staff and is limited due to space constraints. Items in the kitchen, storage room, or on display in the gallery may not be used without permission from the Gallery Curator. For more information or to arrange a tour of the facility, please call 336.333.7485.